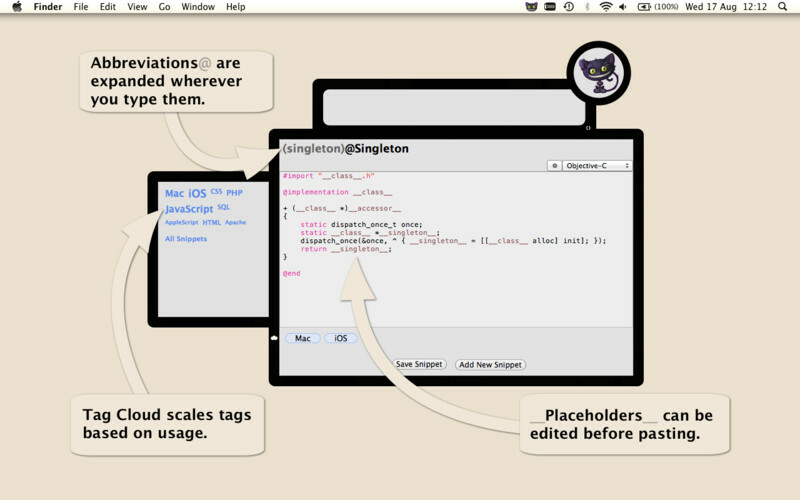 Dash is a Code Snippet Manager and Cocoa Documentation Browser. 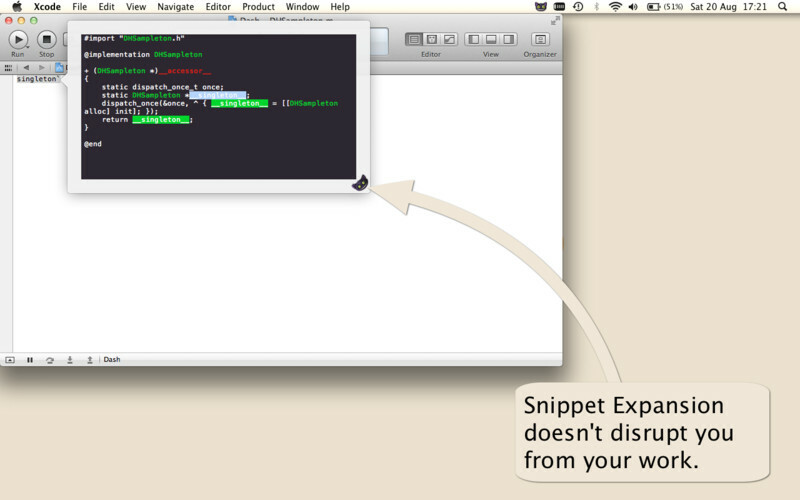 Always one keyboard shortcut away, Dash helps you store snippets of code that you use often, as well as search iOS, Mac and custom docsets. ✔ Collect snippets of code that you reuse often. ✔ Sync by saving your library in Dropbox. ✔ Over 80 syntaxes for code highlighting. ✔ Variable Placeholders can be edited before pasting. ✔ Abbreviations are expanded wherever you type them. ✔ Tag Cloud scales tags based on usage count. ✔ @clipboard expands into the contents of the clipboard. ✔ @cursor repositions the cursor after expansion. ✔ @date expands into the current date. ✔ @time expands into the current time. 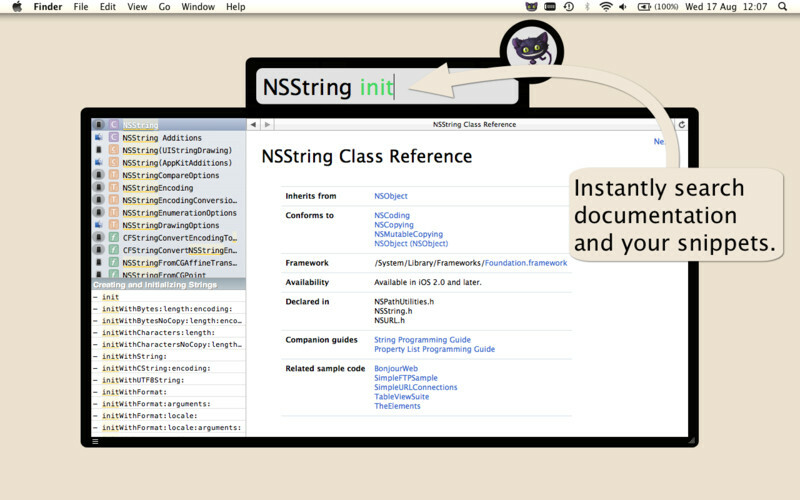 ✔ Search Cocoa reference in iOS, Mac and custom docsets. ✔ Classes and methods have their own wiki pages. ✔ Methods are conveniently shown in a special Table of Contents. ✔ Easily switch between platforms by clicking on search result icon. ✔ Fuzzy search. Don`t let misspells get in your way. ✔ Built for speed. Searching is almost instant. ✔ Menu item application, always one keyboard shortcut away. ✔ Users that want to use Dash only as a Snippet Manager or Documentation Browser, can do so.